At Silverman Opticians in London our Optometrists can test for colour vision deficiency or ‘colour blindness’ and provide advice on treatment with Chromagen lenses. Chromagen lens filters work by changing the wavelength of each colour going into one or both eyes, which enhances colour perception and colour discrimination. They can be worn discretely as soft contact lenses or made up as glasses. Colour vision deficiency occurs when the cells in the retina (the nerve tissue which lines the back of the eye) fail to function normally. Colour vision deficiency is often known as colour blindness. However, true colour blindness is when you can see no colour whatsoever and is rare. The cells that interpret colour are known as ‘cones’ and are able to process three primary colours: red, green and blue. Using these primary colours, the cone cells can interpret hundreds of different colours, with different shades and hues. If you have colour vision deficiency, the cone cells lack the right amount of chemicals to process colours accurately. 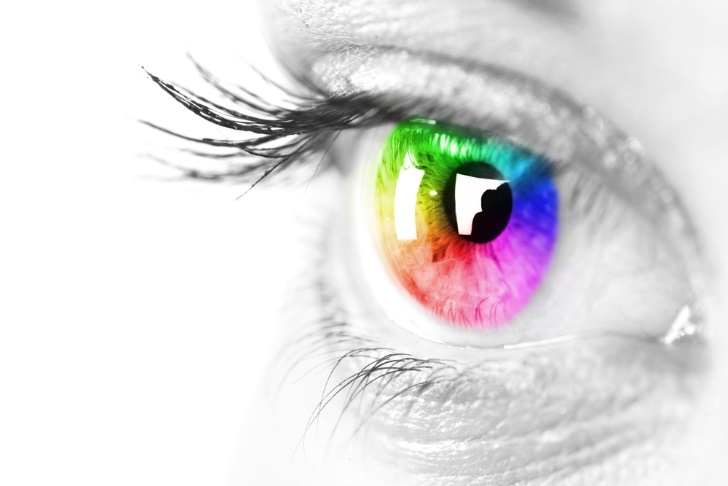 Having colour vision deficiency means you struggle to see colours the same way most people do. You may also have difficulty distinguishing between two different colours. Sometimes it’s difficult to know when you have colour vision deficiency, as there are no obvious or physical symptoms. Colour vision deficiency affects approximately one in 20 men, and is far less common in women, with only one in 200 women affected. In most cases the condition is inherited, although you can develop a colour deficiency as a result of a pre-existing condition or as a side effect of a medicine you may be taking. Red-green deficiency (deuteranopia) is the most frequently diagnosed deficiency. People with this condition can’t distinguish certain shades of red and green. Blue-yellow deficiency (tritanopia) is rare. This condition makes it difficult to distinguish between blue and green. Yellow can appear as a pale grey or purple. Total colour blindness (achromatopsia) is the rarest of the three. In this condition, no colours can be detected and everything is seen in shades of black, white and grey. People with this condition have poor sight and are extremely sensitive to light.